Armie Hammer needed to have some of his, ahem, private parts edited out of "Call Me By Your Name"
Luca Guadagnino’s romantic drama Call Me By Your Name stars Armie Hammer and Timothée Chalamet as star-crossed lovers. (Kind of. It’s better if you just watch it and/or read the book it was adapted from.) 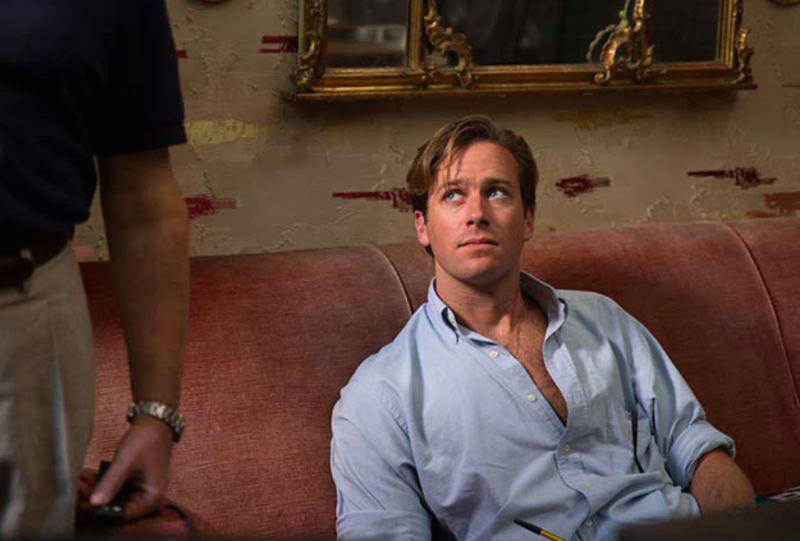 And if you’d watched an original cut of Call Me By Your Name, you’d see a lot more of Armie Hammer. Like, a lot more. Armie Hammer had to have some *extremely* sensitive parts edited out of the movie. In a SiriusXM interview with Bravo’s Andy Cohen, it was revealed that Hammer’s performance in Call Me By Your Name was especially, well, revealing. Sure, the emotional depth he brought to the character was important and amazing! And we all know about the dance moves already (below, and YOU’RE WELCOME). But here’s one thing fans probably didn’t know: Hammer’s self-described “short shorts” caused a scene during production. That makes enough sense. But, in what way? And if co-star Michael Stuhlbarg is to be believed, they’re not completely missing from the film. Stuhlbarg joked that after removing Hammer’s, um, peaches (sorry!) from the scenes, the editors digitally inserted them again. Just, like, randomly, in other parts of the movie. There are a lot of lush Italian landscapes to admire in Call Me By Your Name, so you’ll have to, well, look pretty closely to find Hammer’s missing parts. They’re definitely not there, though. Maybe. Probably. Whew.